On my recently trip to Southeast Asia, I stopped briefly in Bangkok, Thailand and by far one of my favorite sights to photograph was the Ratchaburi floating market. Selling most touristy items (sadly) and some fresh fruit from the long-tailed boats, the market travels through narrow waterways and by storefronts. 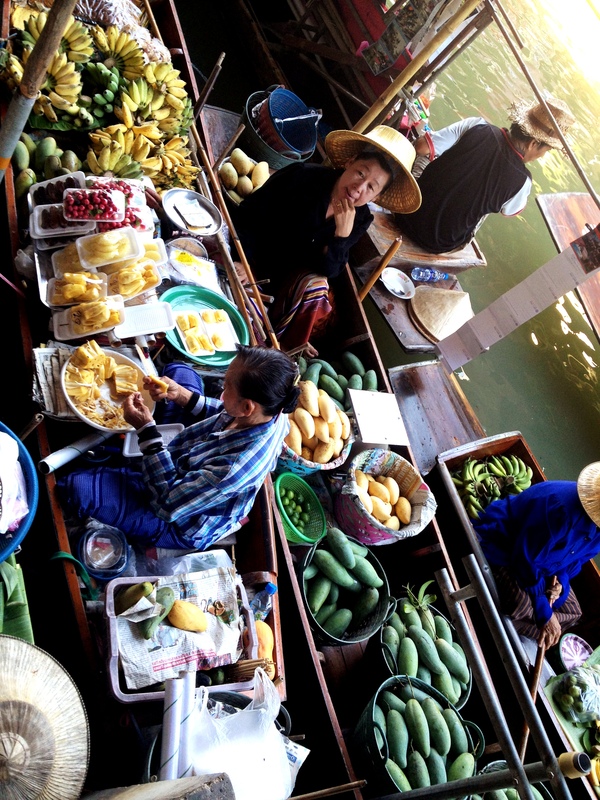 Visiting these colourful floating markets in Bangkok was one of my Asia highlights!! Great photo.